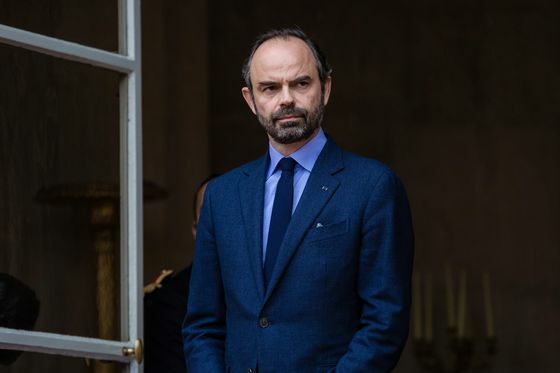 (Bloomberg) -- Prime Minister Edouard Philippe said France will strengthen its security rules and potentially ban rallies in areas such as the Champs-Elysees in Paris as it seeks to end violence linked to the Yellow Vest movement. French police will add drones, increase the use of video for identifying perpetrators and expand the use of indelible ink sprays to tag violent protesters. The government also said it will continue to use rubber bullets, despite public criticism. Riot police will be given more autonomy to respond to outbreaks of violence, Philippe said. French Interior Minister Christophe Castaner called the perpetrators of Saturday’s violence “assassins” and vowed to ban “risky” protests that were led by rioters and not the yellow vest movement. 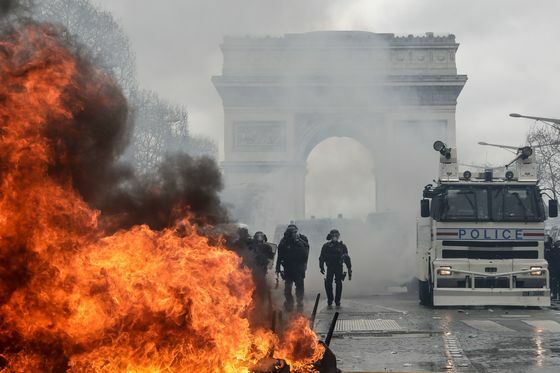 President Emmanuel Macron and his government are scrambling to pull together a response after violence flared up again during demonstrations on Saturday, with images of the battered Champs-Elysees beamed around the world. The prime minister also announced the ouster of the Paris police chief. More than three months of Yellow Vest protests have put Macron on the spot. He’s organized a national debate to find a way forward, discussing social and economic issues with voters across France for the past two months. His poll numbers have recovered, but last Saturday’s violence was a reminder of the grim reality of riots. The Yellow Vests have been protesting every Saturday since November, with demands ranging from lower taxes to better public services. While there were dramatic scenes late last year, recent protests have been poorly attended. Most of Saturday’s vandalism was blamed on far-left “Black Bloc” activists who tag along just to wreak havoc.